We all experience those days when we need to find some brightness. We may have heavy burdens, we may have family or friends who are having struggles or medical issues. We all have something. As we walk through life and the rough patches we need to find ways to add comfort and peace to each day. One way I do this is through scripture. Scripture always helps me find a bright spot. You can easily find scriptures for what you are going through online, just search what you need, scripture for enlightenment, scriptures for joy or peace, you get the idea! I also find music soothes my soul. Find the type of music you like or better yet find a new music to listen to. Another way I find comfort and a great way to comfort someone else is through flowers! I try to always have fresh flowers in my home. If you grow any type of flower in your yard, just cut them and add them to a vase of water. Flowers DO NOT have to be expensive! Trader Joe’s and Wegmans both offer flowers at very reasonable prices! 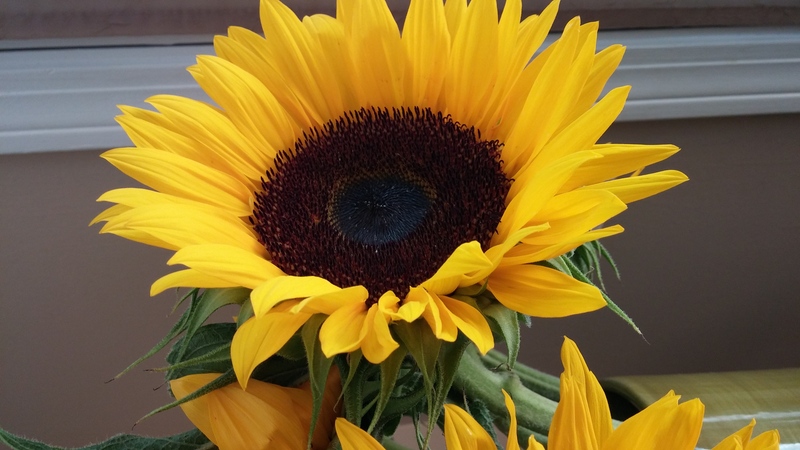 I recently found these beautiful sunflowers! 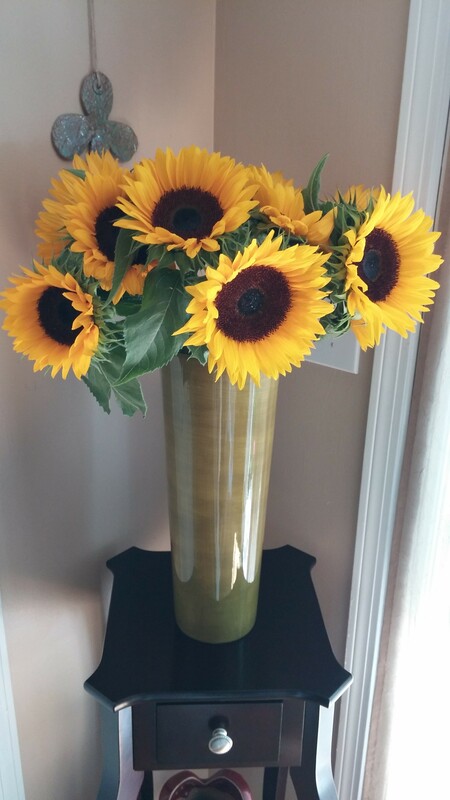 I had this tall vase already and I absolutely LOVE the way they look! I didn’t even cut the stems they fir perfectly in the vase. 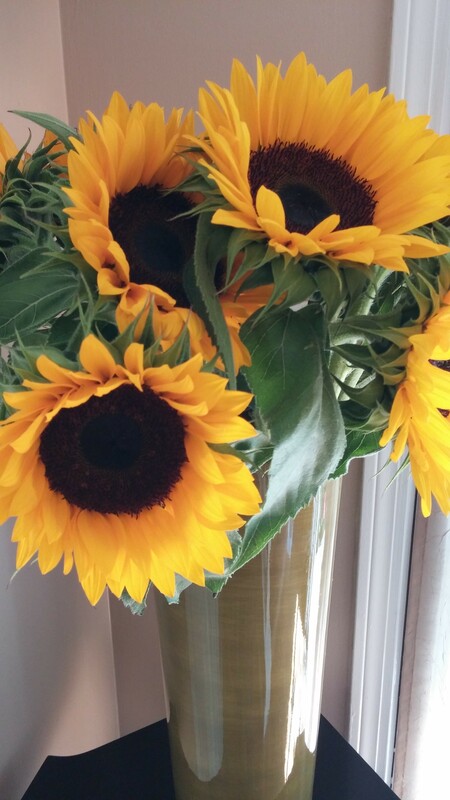 So anytime you are feeling down, find or add some brightness to your day! How do you brighten your day? Share in the comments and you might just help someone else too!